Are you looking for an off-the-beaten-track island destination in Greece this summer? Somewhere you won’t be jostling with the crowds for space on the beach, or elbowing for sunset shots or cocktails? 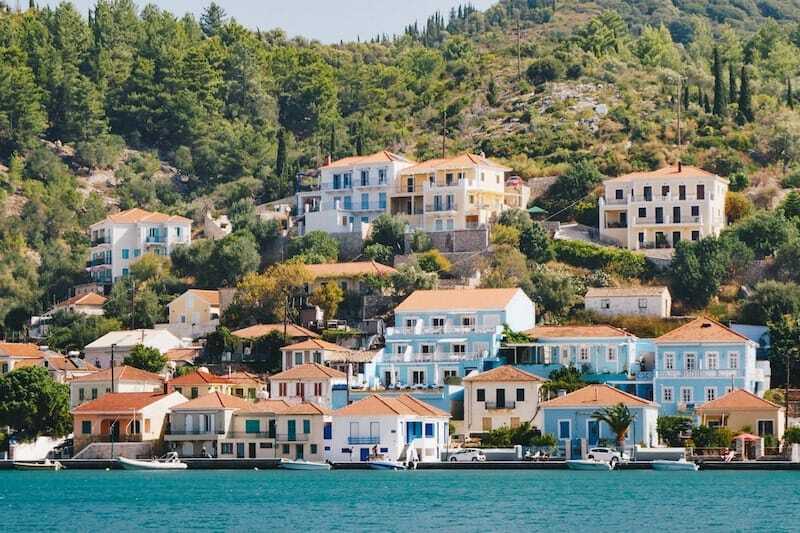 Luckily, with hundreds of islands to choose from, there are plenty of hidden gems in the Greek islands where you can find your own piece of paradise. Quiet doesn’t necessarily mean small. Some of the quietest island destinations in Greece are also some of the largest. Even on popular islands blessed with great beaches, summer tourism tends to be focused in a few places, leaving the rest of the island undeveloped and ripe for exploration. 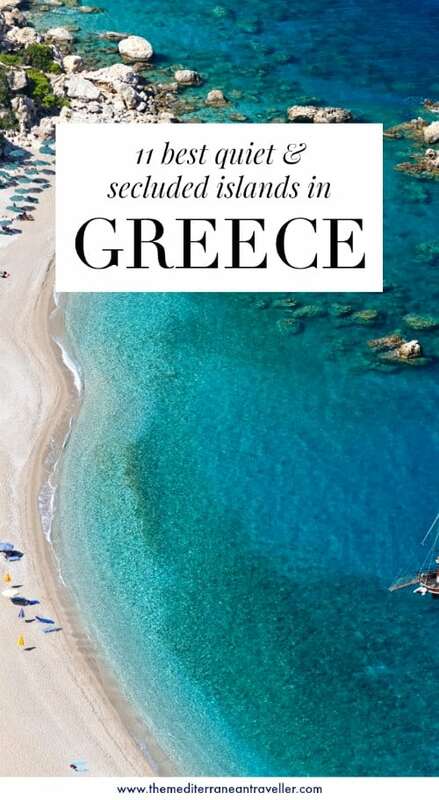 But there are over 200 inhabited islands in Greece, so you’ll still find large islands with fascinating histories that haven’t been spoilt by mass tourism. As a general rule, quieter destinations tend to be harder to reach – some requiring long ferry journeys. But there are airports scattered around the Greek islands, so this isn’t a hard and fast rule. There are several destinations on this list that have an airport. For more information on getting around the Greek islands, check out Greek Island Hopping 101 – the Ultimate Guide. Number one on this list is the island of Ikaria in the Aegean Sea – the island that time forgot. Around the world, Ikaria is most well known for being one of the six Blue Zones where inhabitants are known to live a particularly long life. This title has brought a few more visitors to the island. Throughout Greece, Ikaria is synonymous with dancing and festivities, with a healthy traditional lifestyle and rugged landscape. 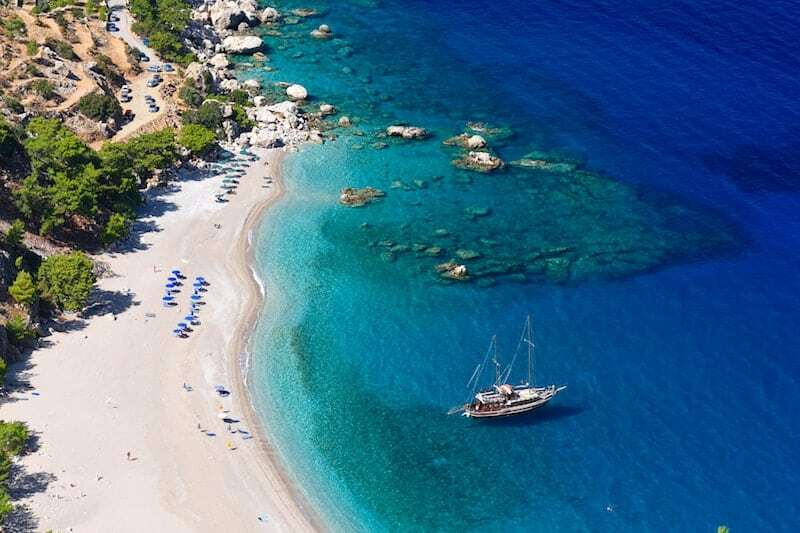 Ikaria definitely dances to the beat of its own drum. All of which makes it the perfect offbeat destination. Just avoid panagiri season in the summer if you’re not keen on dancing with strangers (on the other hand, if this is exactly what you’re coming for then make sure to book ahead)! Once one of the mainstays of tourism in the Aegean, Lesvos is a big island with plenty of space and history and geology, and an airport to boot. It has some of the finest gastronomic traditions in the country, a handsome capital Mytilene, a petrified forest, some great beaches and picturesque harbour towns. Lesvos is the spiritual home of the drink ouzo, and also of with the poet Sappho – festivities are still held in her honour. Unfortunately, the island was hit hard during the refugee crisis which has kept many tourists away. On the flip side, volunteers from around the world have been attracted to the island to help – which has cemented its reputation as a counter-culture destination. There’s plenty here to discover – whether you’re looking for a hippie vibe or a slice of authentic island life. 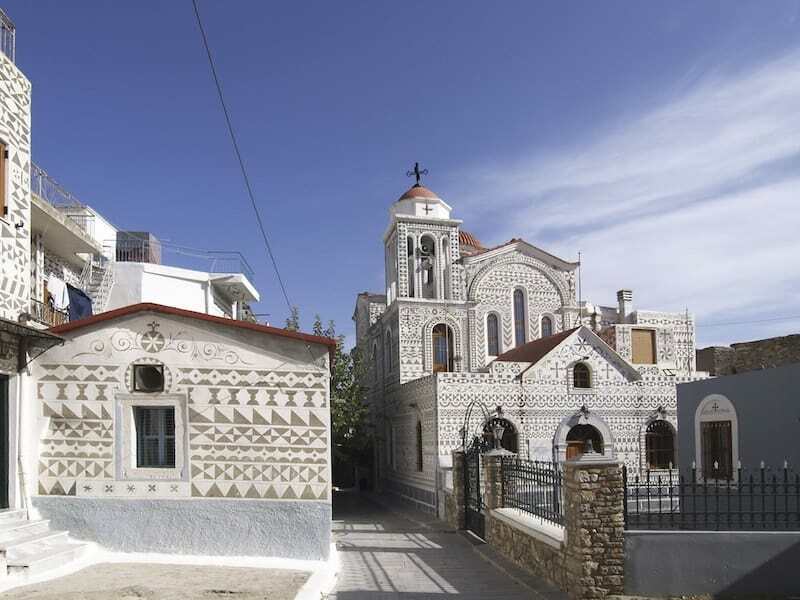 Another undiscovered gem in the Aegean is the island of Chios. It’s the fifth largest island in Greece, and tourists only tend to visit one part (the beautiful mastic villages) so you’ll have most of the island to yourself if you’re happy to rent some wheels. This fragrant island is known for the quality of its produce – particularly citrus – and is one of the most interesting destinations for foodies. And then there are the mastic villages, of course. The most famous is Pyrgi, where you’ll find unique buildings covered in black and white sgraffito, a kind of etched pattern brought by the Genoese invaders. Pyrgi is not the only historic treasure, the landscape is pocked with abandoned Byzantine villages. Can you see a theme emerging? It’s the islands of the northern Aegean. And it’s the distances required to reach these islands which have kept them secluded and free from overblown tourist developments. Leros is no exception. 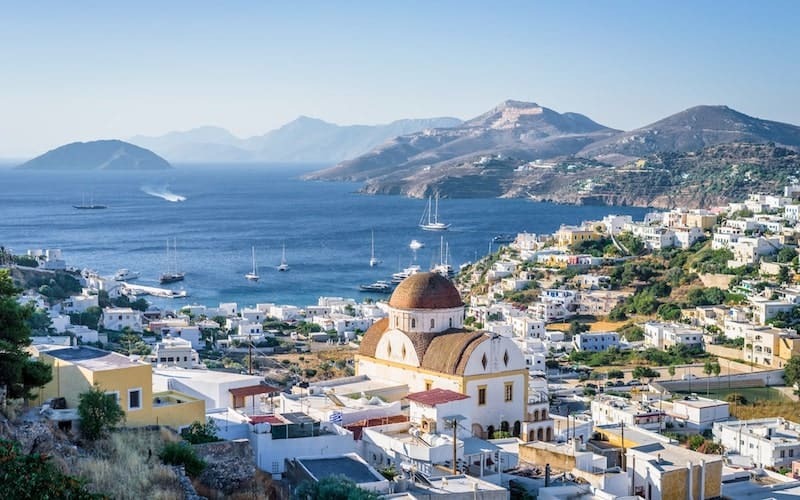 But whilst most Greek destinations are noted for their ancient history, for Leros it’s the modern history that intrigues. Italian forces were based here during the occupation in the early 20th century and Mussolini had grand plans for the island. You can still find remains of his rationalist vision at the town of Lakki, which is gradually being restored. Beyond Lakki, you’ll find all a remarkably unspoilt island with all of the traditional charms and sleepy fishing villages but without the crowds of, say, neighbouring Kos. 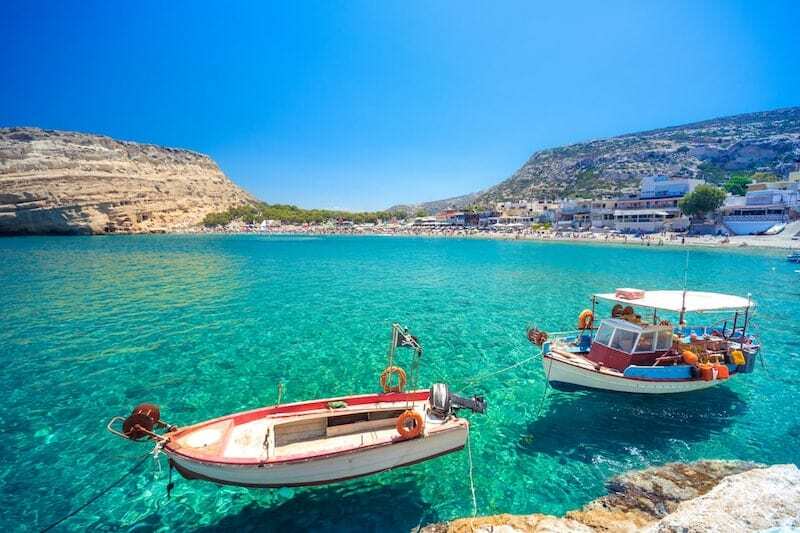 One island to the south from Leros – and just an hour on the car ferry – is the island of Kalymnos. Over the last few years, Kalymnos has steadily been making a name for itself as one of the premier rock-climbing destinations in Greece, even hosting a festival celebrating the sport in the autumn. But it also has a strong sense of tradition and a proud local character. This is an island of shipwrecks and sponge fishing. Truly a hidden treasure in the Aegean, which is easily accessed from the airport on the neighbouring island of Kos. It’s the largest island in Greece, so of course there’s plenty of opportunity on Crete for travellers looking for the wild and remote side of Greece. Generally speaking, the northern coast is lined with sandy built-up beaches where you’ll find most of the island’s main towns and developments. Cross over the mountains in the hinterland and you’ll find a different world. The southwest is a hiker’s heaven, with picturesque secret beaches dotted in amongst canyons and cliffs. But even less make it to the eastern side of the island with its African climate and palm forests, or to the fascinating windmills of the Lasithi Plateau. 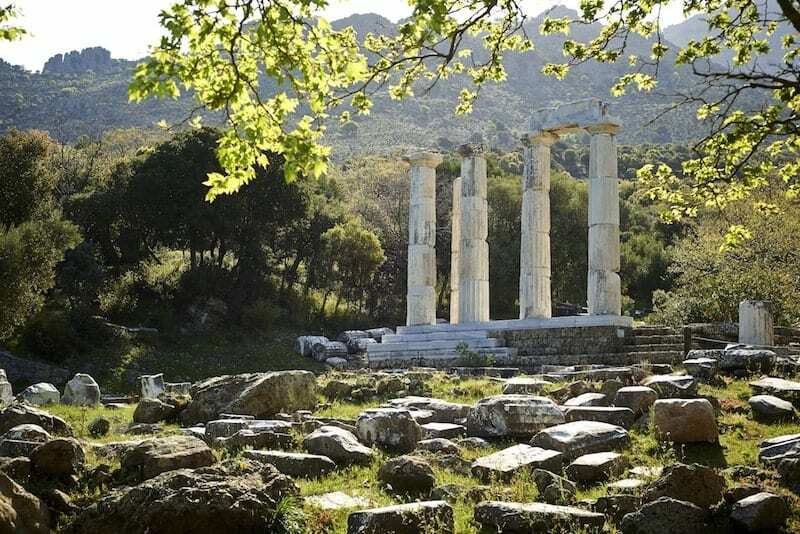 Lovers of nature and solitude will enjoy the quiet island of Samothraki (also known as Samothrace), which is one of the islands least visited by foreign holidaymakers. It’s a favourite destination amongst Greeks who live in the north of the country though, as well as those of a bohemian persuasion who come for its lush green landscape, waterfalls and low key mystical vibes. The lack of ferry connections means its easier to visit from the mainland than connect with neighbouring islands. The alternative vibes continue on Skyros, which is equally unspoilt and hard to reach – although closer to Athens. 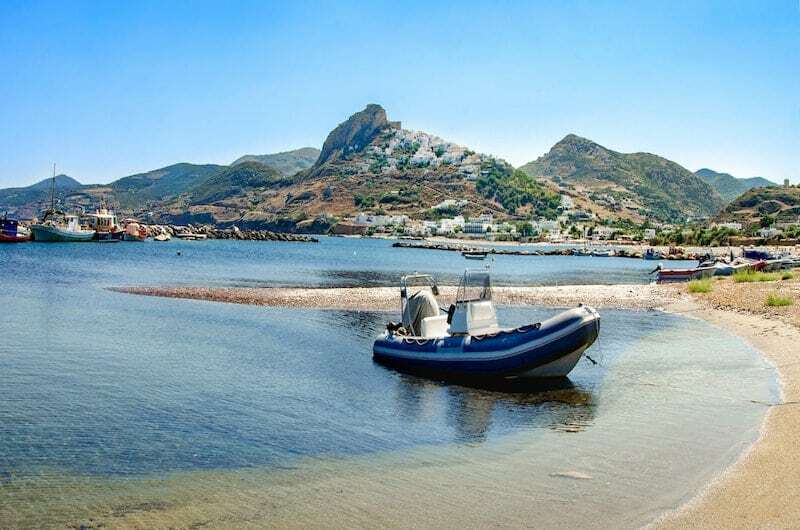 Technically belonging to the Sporades group of islands, Skyros sits out in the Aegean Sea pretty much on its own and has few ferry connections with neighbouring islands. All of which has helped keep its rugged and independent spirit (and landscape) intact. It’s slowly becoming a treasured destination for those looking for wellness, holistic and creative retreats. En route, you could also visit nearby Evia (also known as Euboa), which is technically the 2nd largest island in Greece but cunningly disguised as the Greek mainland so hardly anyone knows that it’s there. Except the Greeks, of course, who nip up from Athens for some camping and peace and quiet. The Dodecanese island of Karpathos often gets overlooked by those speeding between the big-name islands of Crete and Rhodes. But their loss is your gain – Karpathos has much to give. 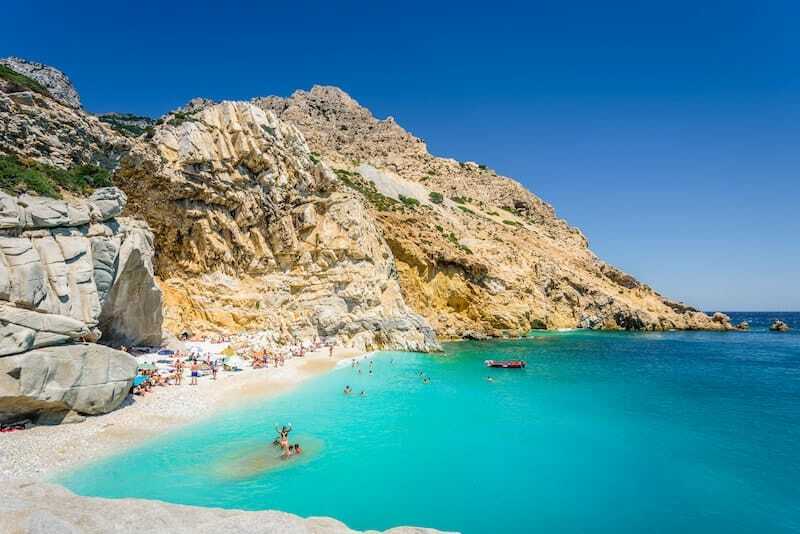 If you want to visit stunning beaches with incredible azure waters and dramatic mountain scenery and still wonder where everyone else is then Karpathos is for you. 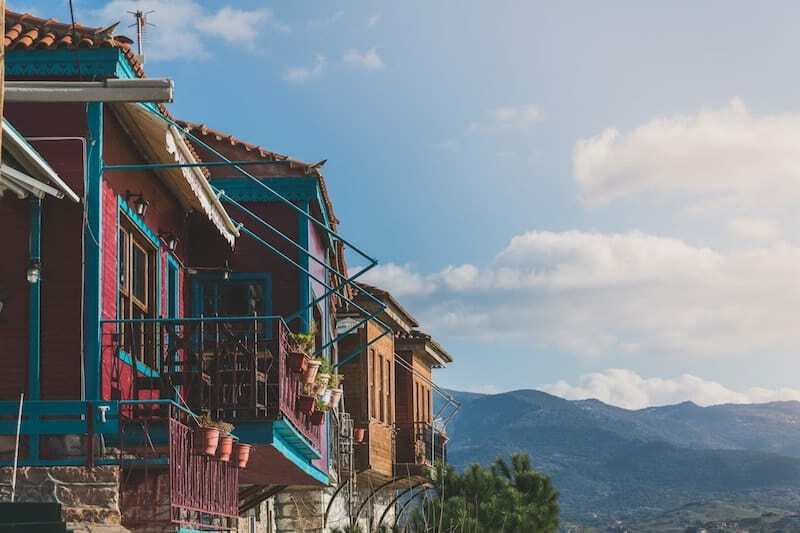 There’s also the colourful historic village of Olymbos to discover, and an equally colourful local culture. If Karpathos feels too big then you can also hop over to neighbouring satellite island Kasos. 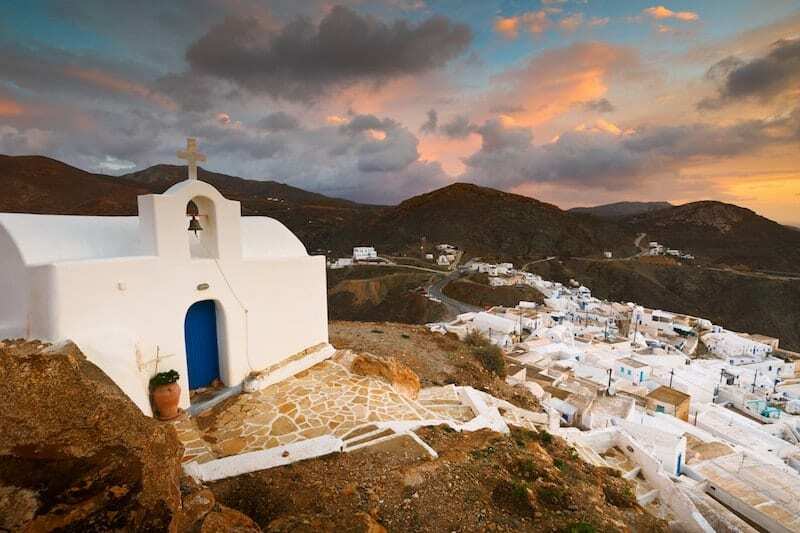 The landscape on Anafi is barren and windswept, dotted with whitewashed Cycladic buildings and reminiscent at times of Santorini – only without the crowds and commercialisation (and with better sandy beaches). You’ll bump into precious few other tourists on Anafi. There’s just one village, perched on top of rolling volcanic hills. On Anafi you really do get the feeling that you’re on the top of an ancient volcano poking out of the sea. Head to the Ionian islands on the other side of Greece and you’ll find sleepy Ithaca (also known as Ithaka or Ithaki) nestled between Kefalonia and the mainland. Despite its famous name (Homeric hero Odysseus was always trying to return to his beautiful island home Ithaca), Ithaca is practically devoid of tourists compared with its bigger Ionian cousins. This tiny island is covered with dense forest and has just a handful of villages, beaches and sights. Most visitors just come over for the day from Kefalonia or passing yachts. Image credits: Ikaria © Thomas Jastram / Adobe Stock, Lesvos © dgiannisdim / Adobe Stock, Chios © visualstock / Adobe Stock, Leros © Thomas Jastram / Adobe Stock, Kalymnos © Iuliia Leonova / Adobe Stock, Crete © gatsi / Adobe Stock, Samothraki © vkara / Adobe Stock, Skyros © Stratos Giannikos / Adobe Stock, Karpathos © kilinson / Adobe Stock, Anafi © milangonda / Adobe Stock, Ithaca © Calin stan / Adobe Stock.